Chicago Mayor Rahm Emanuel speaks to the media on Wednesday, Oct. 31, 2018. While Mayor Rahm Emanuel said he understands the “aspirations” of a pair of proposals that seek to boost the real estate transfer fee on high-end properties to fund homeless services and the removal of lead service water lines, he does not support them. The Chicago Coalition for the Homeless is proposing a transfer tax of $9.75 per $500 on residential and commercial properties that cost $1 million and up. (The current rate is $3.75 per $500.) The extra funds generated from the tax increase – $12,000 per property, at minimum – would go toward support services for the homeless, according to Julie Dworkin, the group’s policy director. In his proposed budget, Emanuel is committing $1.1 million to support homeless residents, which comes on top of a 4 percent fee on Airbnb and other home-sharing services. Late last month, the mayor’s office announced a nearly 4-percent decrease in homelessness over the last year, stating 5,450 people in Chicago are experiencing homelessness. But CCH says the city’s estimate doesn’t accurately capture the scope of the problem because it’s based on a count that takes place on a single night and doesn’t include people living doubled up – those who stay with friends and relatives in hard times. According to their estimate, 80,000 people are in Chicago are homeless. CCH estimates the proposed fee hike could generate $150 million per year and would impact just 5 percent of real estate transactions in the city and 3 percent of homeowners. That extra revenue “could decrease the number of people experiencing homelessness by 9,000. In 10 years, it could decrease by 36,000 people,” said Dworkin. Earlier this week, aldermen debated a proposal to institute a 1 percent tax on real estate taxes of at least $750,000 to fund the replacement of lead service lines which carry water to 360,000 homes. Lead is a dangerous toxin for which there is no universally safe level in drinking water. The city maintains it does routine testing and puts a chemical in the water to make sure there is no lead runoff from these pipes. 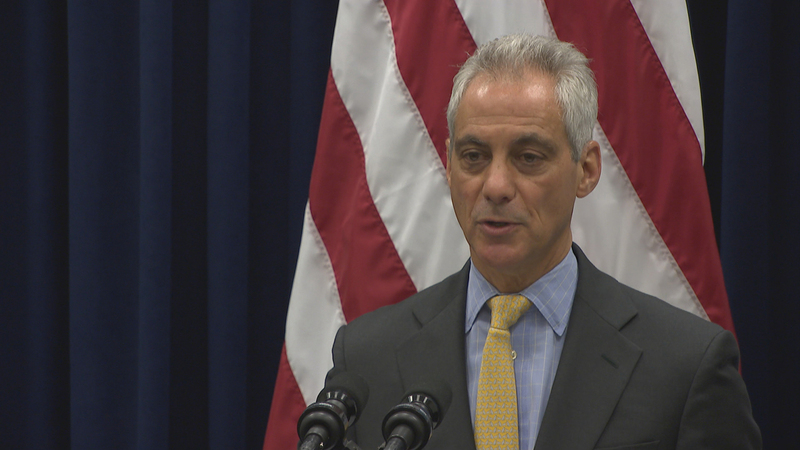 Emanuel did not address whether the city’s lead service lines should be replaced when asked that question by a reporter.